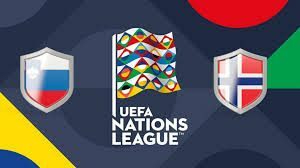 Slovenia welcomes Norway in a match from Group 3 of League C of the Nations League. This match is going to be played in the Slovenian capital Ljubljana on Friday night. Let’s see what’s the situation with these two teams at the moment. Slovenia are currently at the bottom of the group, having won just 1 point from 4 games played. Igor Benedelcic’ team started its participation in the competition with three consecutive losses, suffered against Bulgaria, Cyprus and Norway. In their last game they finally won a point, doing a 1-1 draw at home against Cyprus. Papoulis opened the score for Cyprus, but Nejc Skubic equalized for the home team just 7 minutes before the end. Skubic used a good assist from Miha Zajc and scored for the home team. For Slovenia this is a chance to eventually get even with Cyprus, take the 3rd place in the group and avoid relegation. But of course, it also depends on the result between Cyprus and Bulgaria in the other game from the group. Norway are the current leaders in the group with 9 points. They are on par with the 2nd Bulgaria, but they have a better goal difference. So far Norway won three times in this group – against Cyprus, Slovenia and Bulgaria, also suffering just one defeat – against Bulgaria in Sofia. In their last match Norway went on top of the group, winning against Bulgaria with 1-0 in Oslo. The only goal in the game was scored in the first half, when Mohamed Elyounoussi put the ball in the net after an assist from Omar Elabdellaoui. That’s what we had to say about the Nations League clash between Slovenia and Norway. For both teams this game is important. Slovenia want to escape from the last place in the group, while Norway want to stay on top.